Where to hide the baby pigeons? Competition among the pigeons in flight speed or accuracy of mail delivery are held quite regularly. To send in your pet, the existence of a strong and fast bird is not enough. You need to teach her how to navigate. To cook the pigeon for independent flights you need to start early enough. 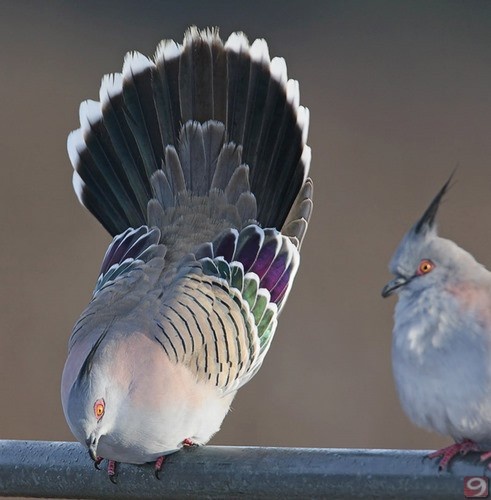 Introduce the dove with the appearance of a doveTNI. He should know it, not only inside but also outside. Once your pet learns to bite, begin to release it to the roof through the pasture. Do this before feeding. Fly it until you can, Yes the pigeons do not very inclined to change their place of residence. The walk can be finished as soon as the bird thoroughly hungry. Teach your nestling yourself to go in pigeon, TNU. The best way is to lure him with food. You can use a thin twig. But they need to act very carefully, in any case, not to beat a pigeon. Twig can only gently guide his movement. 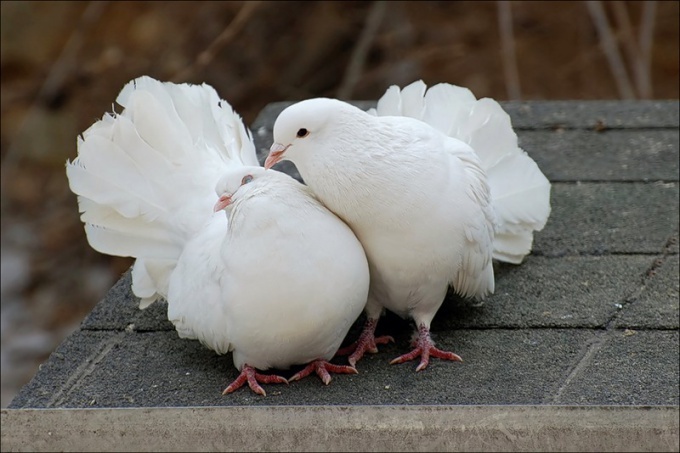 When a dove is a little stronger, teach him how to fly over the doveTNA. The chick is already accustomed to, that his house, waiting for food. First release the bird only in your presence and do not let her sit down. There is a military-ligamentous teaching method, according to which pigeons are kept locked at first, and then start to produce for a short time in "a nonstop flight". Do sometimes with Chicks who grew up in the same pigeontne. But this is especially important if the flock has recently acquired adult pigeons, which can fly into your old house. 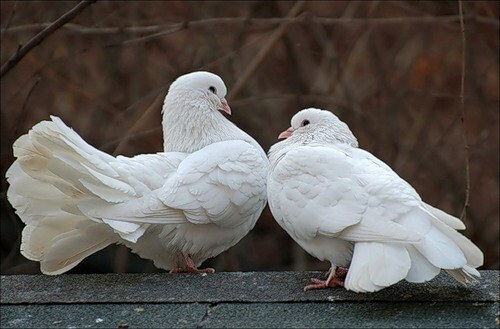 If an adult bought the dove has brought his mate in the new dovetne, he's not going anywhere. The first trip can be quite short. Release a dove for a few minutes, then lure food. Each day increase the duration of "walk" in the surroundings for a few minutes and bring it to one and a half hours. 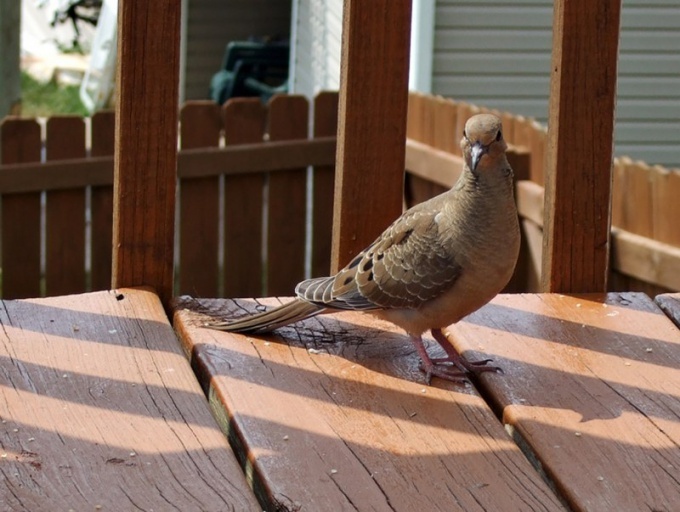 When you notice that the dove is already familiar with the immediate surroundings and always comes home, go for longer walks. First take the bird about 200 meters to the side and release. Make sure that the dove has returned. Gradually take him farther. Then take your pet to a distance of 2-3 kilometers from pigeonTNI and send him home. Return to dovetne and wait when it will arrive. Repeat this exercise many times, releasing a dove in different places. If you learn of the future of the postman, for example, to deliver mail from some points home, teach him to fly mainly in this direction. There is method and free pigeons. Dovecote always open, and birds can fly and return when you want. But for this technique you need to go, when your Pets become accustomed to go home from the roof. Adult birds in this case get a great workout when you go for food for Chicks over long distances. The bait, forcing them to return home to the kids. This method is good when a lot of pigeons. Vdovoy method of teaching requires a certain skill, so you can use it if you have long keep pigeons. Females with Chicks is deposited in another room, and to produce and train beginning only males. 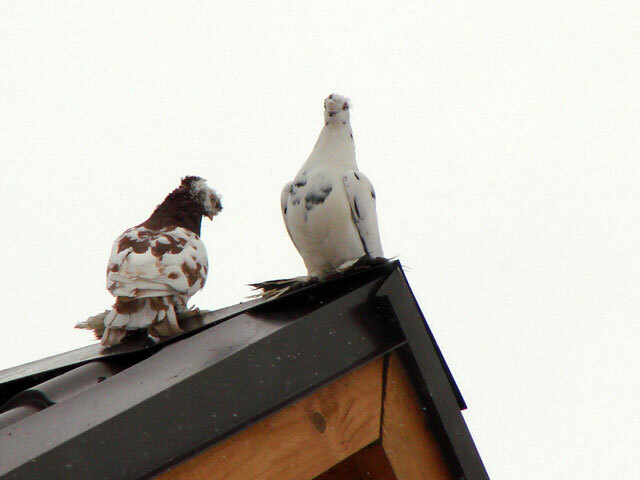 To start releasing pigeons in the warm season, weather permitting. In poor visibility these birds can easily get lost.